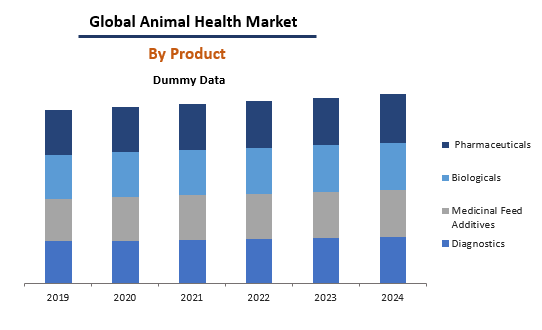 The global animal health market was worth more than US$ 44 Billion in 2018. Animals regularly require adequate care from their owners in order to have a good health. As the production of healthy livestock ensures safe food supply and retains the stability of consumer prices, regular monitoring of animal health and averting animal disease outbreaks have become indispensable for every country. As effective control and prevention is necessary for limiting the spread of zoonotic diseases among animals and human beings, the animal health market is gradually gaining traction across the globe. Moreover, pet and livestock owners nowadays are willing to spend on animal healthcare products and services owing to their inflating disposable incomes, growing awareness through print and electronic media, and the emerging trend of pet humanization. 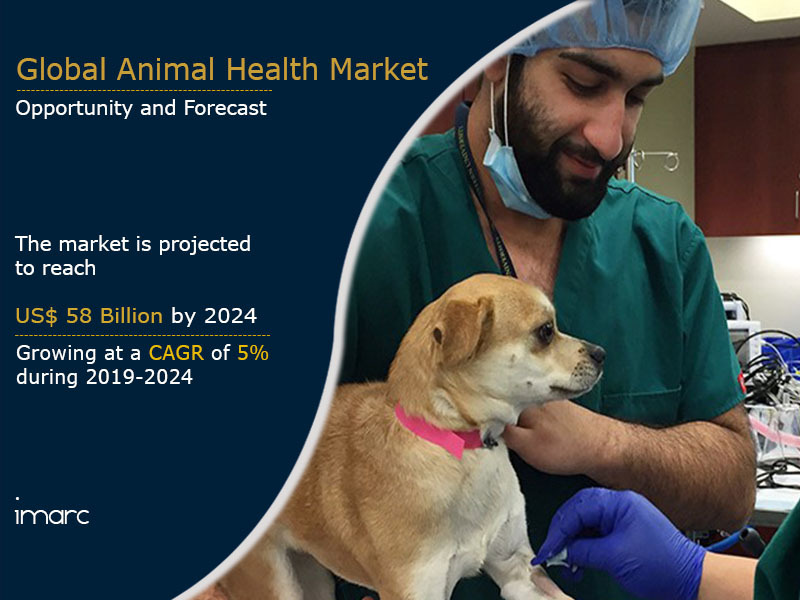 Currently, the animal health industry is flourishing on account of rapid technological advancements and increasing research and development activities in the veterinary pharmaceutical industry. With the help of advanced technological systems, data produced in veterinary clinics can be now uploaded on the internet and shared with other researchers and clinicians. This technology also aids in facilitating real-time analysis of fluctuations in the prevalence of diseases. In order to optimize the veterinary healthcare sector, governments in several developed countries are also undertaking initiatives and implementing animal vaccination programs. On account of these factors, the market value is projected to exceed US$ 58 Billion by 2024, exhibiting a CAGR of around 5% during 2019-2024. On the basis of animal types, the market has been bifurcated into commercial and companion animals. At present, commercial animals account for the majority of the market share. Based on the product type, the animal health market has been divided into pharmaceuticals, biologicals, medicinal feed additives and diagnostics. Pharmaceuticals currently represent the largest product type. On a geographical front, North America enjoys the leading position in the global animal health market. Other regions include Europe, Asia Pacific, Latin America, and Middle East and Africa. How has the global animal health market performed so far and how will it perform in the coming years? What are the key regions in the global animal health market? Which are the popular animal types in the global animal health market? What are the key product types in the global animal health market? What are the various stages in the value chain of the global animal health market? What are the key driving factors and challenges in the global animal health market? 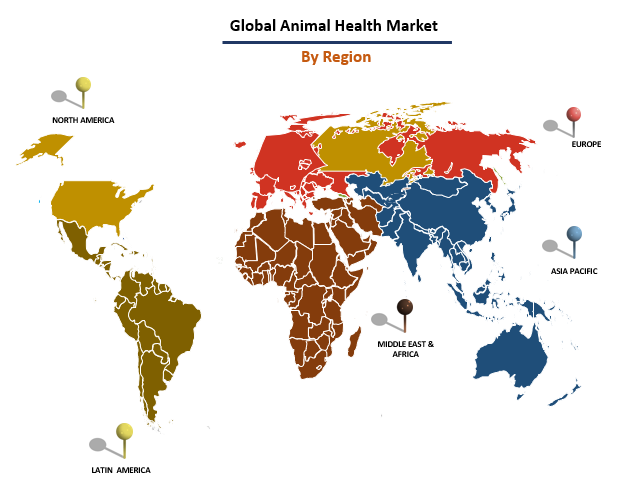 What is the structure of the global animal health market and who are the key players? What is the degree of competition in the global animal health market?